Kazi Rajib Uddin Ahmed Chapol is currently working as a consultant of World Archery Federation as well as performing his duties of an executive member of the Asian Archery Federation. He is holding the post of Treasurer of Bangladesh Olympic Association and also the Secretary General (Founder Secretary General) of Bangladesh Archery Federation. In an exclusive interview with the Daily Sun, he opined that Bangladesh will lead in the archery arena in future. In 2012, he got National Sports Award as the ‘Successful Sports Organiser’ from Bangladesh Government. Chapol, a former handball player, played ‘First Division Handball League-1986’ for Cute Fans Club in 1986. He is trying to develop Bangladesh’s sporting arena especially archery, so that Bangladeshi archers can make a strong position in near future. Chapol talked elaborately with Daily Sun about his contributions in the field of sports and handball career, achievements, his future dreams, future of Bangladesh archery and its potentials, problems, barriers and many more. There is nothing to deny that country’s archery related arena will perform great under his observation. 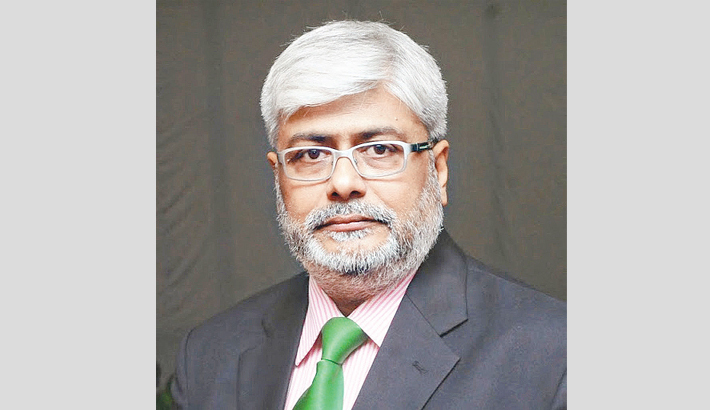 He handled the Bangladesh Kho-Kho Federation as the Founder General Secretary from 1998 to 2008. Bangladesh Kho-Kho Team achieved a lot of international trophies under his guidance. Bangladesh Kho-Kho Team clinched gold medal under his supervision in 2007 in the first Indo-Bangladesh Bangla Games which was held in West Bengal in Kolkata. In 2008, Bangladesh Kho-Kho Team secured gold medal again in the second Indo-Bangladesh Bangla Games which was held in Dhaka. Furthermore, Bangladesh Kho-Kho players took part in Netaji Subhash Gold Cup in 1999 which was held in Hyderabad in India and claimed the runner-up trophy. In 2000, Kho-Kho team clinched runner-up title in the second Asian Kho-Kho Championship which took place in Dhaka. “I used to play handball and football and I was quite good in these sports. But I started working as an organiser while I was a young player,” he added. “I am trying to develop our sporting area by involving with various national and international sporting events and organisations,” he further added. He is a member of a sports-loving family. His father and family members are his inspirations to become an organiser. “My family members always encouraged me to become a successful organiser,” he stated. “Bangladesh Handball Federation General Secretary Asaduzzaman Kohinoor is the third man after my father and family members who inspired me to join in the organising arena,” he added. He played a vital role as a member of Bangladesh Cricket Board (BCB) from 2008 to 2013. Chapol also performs as an active social worker. He is working as a Founder General Secretary of the ‘Dontos Social Welfare Organisation’ since 1981 to till date. He also worked as a team manager, team leader and jury of appeal of some of the international and national events. He was a manager of Bangladesh National Handball Team in 1988 in the ‘International Handball Tournament-1988’ which took place in Hong Kong. He played his role as a jury of appeal in the 10th SA games-2006 in the archery event which was held in Sri Lanka. He was a team leader in the 16th Asian Youth Olympic Continental Qualifying Test in 2009 and 16th Asian Archery Championship 2009 in Bali, Indonesia. Bangladeshi archer Emdadul Haq Milon captured a 70m recurve bow gold medal in his single performance at the Asian Youth Olympic Continental Qualifying Test in Bali, Indonesia. Milon participated directly in the Youth Olympic Games as the first Bangladeshi player. He is the Chairman of Mousumi Industries Limited (Cute) and also the Managing Director of the Blazer BD Limited. He has put his contributions in the handball, kho-kho, archery and other sporting events by sponsoring from his own organisations. He has developed a platform of searching sports talents across the country named ‘Talent Hunt’. He has formed ‘Cute Handball League’ so that handball gets more popularity in the rural areas. “We will carry the programmes over the years,” he added. Chapol believes that they need government support, sponsors support and at the same time media support for flourishing all of the sporting events in Bangladesh.